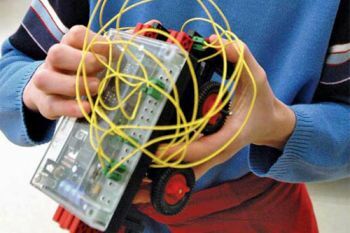 Event developed by the Engineering Development Trust furthers Cityâs involvement in STEM (Science, Technology, Engineering and Mathematics) outreach and education. On 8th July, City will be hosting the Celebration and Assessment Day for Year 8 and 9 students who have been participating in the Engineering Development Trust's Go4SET scheme. The Go4SET scheme is aimed at stimulating the interest of young people in STEM (Science, Technology, Engineering and Mathematics), and follows City's successful Glorious Measurement STEM event in March. The scheme provides pupils (Years 8 and 9 in England and S2 in Scotland) with the opportunity of working on a specific project while being mentored by scientists and engineers selected from the complete spectrum of STEM disciplines. "Go4SET provides an excellent example of City's continued commitment to STEM education. We are pleased to be partnering with the Engineering Development Trust on such an excellent initiative that is designed to impart vital skills to young engineers and scientists of the future." At the City event, the project outcomes of participating students will be celebrated and assessed. After ten weeks of work, the teams will display and present their solutions and will be interviewed by a panel of experienced assessors drawn from a variety of areas in the field of STEM. Teams will also have the opportunity to participate in regional finals run by the British Science Association and Young Engineers.